I have been feeling a strong presence of past masters around me while practicing since Summer Camp. I would like to ask if there is anything special I can do to honor them, as well as my Sifu, and you Sigung outside of my practice. Other people may think we are crazy, but divine beings and past masters often come to bless and guide us in our practice. We are indeed very lucky. A good way to honour the divine beings as well as your Sifu and me is to lead the type of life that we are very proud of you, like you have been doing. It is important to note that being blessed and guided by divine beings is very different from being controlled or taken over by another being, divine or otherwise. Being blessed and guided by divine beings is a great blessing. Being controlled or taken over by another being is a great deviation. We are in conscious control of ourselves all the time, even when being blessed or guided by divine beings. Many thanks again for your answers to my question about the 12 Bridges. Since then following your advice all 12 Bridges have manifested at once spontaneously — at a very low level I am sure. To test this I managed to break a thick board with a gentle tap while holding it up with my other hand. One thing that is somewhat concerning though is that I can feel this “12 bridge strike” giving off shock waves in the astral realm. How can I keep from damaging spirits or is this even a concern in the first place? You have made good process in your 12 Bridges, though there is still much room for improvement. But do not rush at or crave for progress. Enjoy your training, and the progress will naturally happen. You need not worry about your force creating shock waves which may disturb the astral realm, though it is thoughtful of you to think of it. It is not a concern in the first place. I practice Expansion into the Cosmos once or twice a week. Since Summer Camp it feels like I am leaving my body behind entirely, travelling and exploring across the Cosmos. I’ve experienced spectacular things, various cosmic entities, the formation and destruction of stars and galaxies, the creation and destruction of life itself, as well as my Original Face sometimes. This is a full immersion experience with no awareness of my body or my practice area. When I come back I usually find myself sitting or laying down. Is this development safe? It seems a lot like astral projection, and I know you ‘mentioned before that astral projection was dangerous. Expanding into the Cosmos is a very high level art. It is ridiculous, in a good way, that even our students have such attainment. With your good heart and internal force, your spiritual expansion into the Cosmos is safe. Nevertheless, regard this incredible and wonderful benefit as a bonus. Basically our arts enrich our life here and now in our mundane world, giving us good health, vitality and longevity as well as spiritual joys and peak performance. I’ve been at training sessions for almost two hours, basically all chi flow just letting it happen and happen. I have been overtraining with rashes, and my hands feel very “thick”, my skin actually starts bursting open on the outside of my hands. They look like deep cuts on my knuckles and fingers. The palms and inside of my hands are soft though and are normal. But I am adjusting and learning, lowering the time of my sessions, controlling the chi flow and force. I just didn’t want to miss out on any opportunity. That was why I foolishly kept the flow going as to absorb the skills. Editorial Note: Tim’s other questions can be accessed at July 2015 Part 2 issue of the Question-Answer Series. Fools do foolish things because they do not know their actions are foolish. But you know your actions are foolish, and still you continue doing those foolish things. Are you a very big fool? Training for two hours per session is over-training. You should cut down to half an hour. Use the other one and a half hours to get a girlfriend, organize some kungfu classes or chi kung healing, or do some wise things. As I have often mentioned, an important aspect of chi kung and kungfu teaching and training is to know when to stop. Just letting it happen and happen, whether it is chi flow or any aspects of training, is foolish. Stopping at the right time is wise. Rashes appearing and your skin bursting open looking like deep cuts bring harm to yourself not benefit. Such training makes your life miserable, not enrich it. Continuing in your chi flow that produces too much internal force to the extent of harming yourself, is not making use of an opportunity, it is being foolish. What opportunity are you talking about? You can’t describe an event that brings harm as an opportunity. Cutting down the time of your over-training is being wise. There is also always some Drunken Immortals influence, even with the Tai Chi Chuan flows. Lift Pot Offers Wine happens at the end of some sequences sometimes, but then with open palm. At your level now, you should focus on Drunken Eight Immortals as your main art. 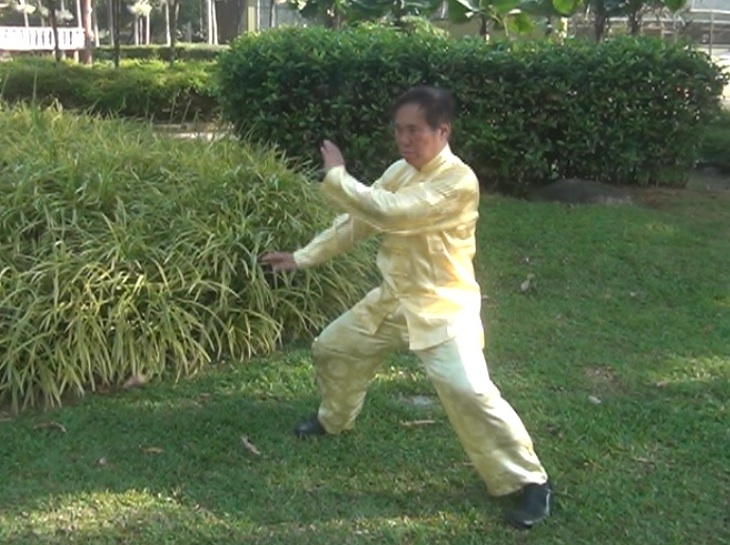 Tai Chi Chuan is your supplementary. I learned a sequence some weeks ago, felling an opponent with one of the Immortal Li kicks, and finishing him off all in one flow with a palm strike in a Unicorn step. I did it over and over until I got it right. I attack and am covered all at the same time. At a master’s level you should be able to compose combat sequences for different purposes. Of course, we are talking about genuine kungfu masters. Nowadays, there are many practitioners whom we call “masters” out of respect, do not have internal force, and cannot apply what they practice and teach in real combat. However, it is usually internal force that eventually decides the winner in combat. Suppose a juvenile Karate black belt of twelve years old is involved in a real fight with an able-bodied adult who does not know any fighting art. The juvenile black belt would be beaten badly. This is an important point many parents who think their children with black belts can defend themselves. They can’t. It is the same in kungfu fighting. If your internal force is very powerful, although your age may be the same as your opponent’s, in terms of force he is like a child to you. So in sparring with martial artists of other styles, you must not be afraid of using your internal force. This does not mean that you hurt them with your internal force. You should control your strike, but you can ward off their strikes with force. Later, when you find that your internal force is too powerful for them, you can minimize your force. Even that they will still find you powerful and formidable. For me one of the benefits of Dragon Strength for daily life would be to make one smarter. Unfortunately, many martial artists today are becoming duller as they spend more time in their training. They are not even smart enough to realize that it is simply foolish to endure punches and kicks routinely when they practice an art as a hobby. 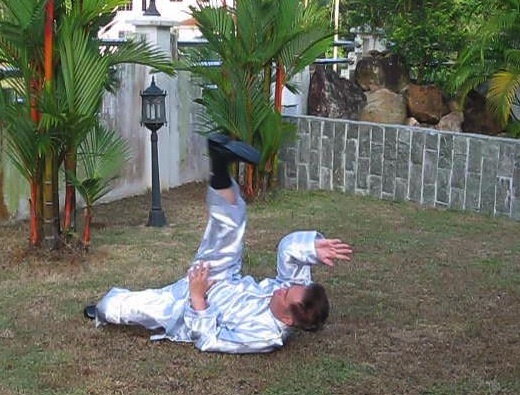 Any kungfu style would make its practitioners smarter if it is practiced correctly as it improves mental clarity. Dragon Strength is particularly effective in improving mental clarity as the dragon trains the mind. There are, of course, many other wonderful benefits of Dragon Strength. Sifu, as you told us not to prepare for Dragon Strength so as not to interfere with the new type of force we will learn, can I trust my chi flow and just let it happen, or should I slow down when this happens again and just wait for the course? Editorial Note: This question was asked before the Dragon Strength Course in December 2014, but as there is a long waiting list for the Question-answer series, the answer is only released now. Enjoy your chi flow. Amongst other benefits, it will enhance your Dragon Strength. 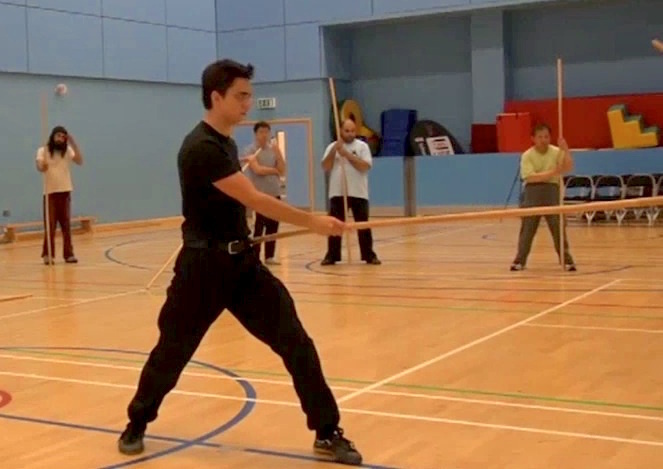 When I told students not to have special preparation for Dragon Strength, I was referring to special methods of internal force training, like Iron Wire and the Santi Stance of Xingyiquan. This was because, as you mentioned correctly, their own force training methods might interfere with the force training methods we would learn at the Dragon Strength course. 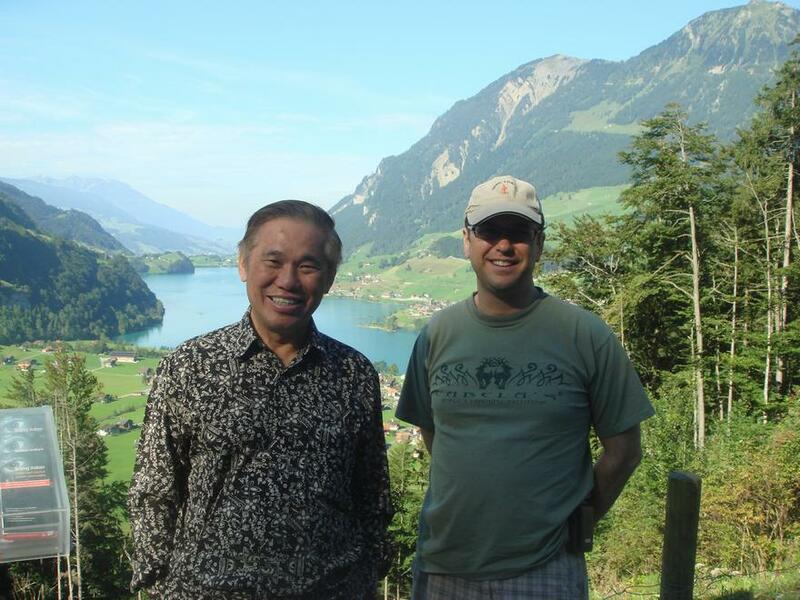 This entry was posted in Chi Kung, Grandmaster Wong Kiew Kit, Kung Fu, question-answer, Shaolin, Shaolin Wahnam, zen and tagged chi kung, Grandmaster Wong Kiew Kit, Kung Fu, QUESTIONANSWERS, Shaolin, Shaolin Wahnam, zen on July 21, 2015 by Wei Joo Lee. What is the difference from a Zen perspective between “Thinking nothing and doing nothing”, and “Smiling from the heart”? From the Zen perspective, which is another way of saying from the viewpoint of seeing and describing things simply, directly and effectively, “thinking nothing and doing nothing” is thinking nothing and doing nothing, and “Smiling from the heart” is smiling from the heart. The difference is self-evident. It is like asking what the difference between a cat and a dog is. From the perspective of seeing and saying things simply, directly and effectively, a cat is a cat, and a dog is a dog. The different is self-evident. If you look at a cat, you know it is a cat, and is different from a dog. From the intellectual perspective, which is another way of saying from the perspective of using words for academic pleasure, if not for confusion, we may logically argue that a cat is a dog, and we may also logically argue that a cat is different from a dog. For example, we can argue that a cat has four legs and a tail. A dog also has four legs and a tail. Therefore, a cat is a dog. On the other hand, your neighbour, John, has only two legs and does not have a tail (though he may have a tail-bone). So John is neither a cat nor a dog. On the other hand, we may also argue that a cat meows and a dog barks. Meowing is different from barking. Therefore, a cat is not a dog. But John, if he wants to, can meow and bark. Therefore, he is a cat and he is also a dog. Although the argument is logical, we can easily see the fallacy of the argument because we are familiar with cats and dogs. But many people may not understand why thinking nothing doing nothing and smiling from the heart is the same or different because they are not familiar with them. Yet, the principles are the same. The logic is flawed. Many people suffer unnecessarily because of their flawed logic, and they do not realize it. Some common examples in daily life are as follows. 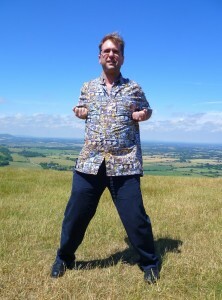 I practice chi kung. Chi kung does not cure my illness. Therefore chi kung does not cure illness. Many people practice kungfu. When they fight, they use Kick-Boxing. Therefore, kungfu practitioners use Kick-Boxing for fighting. A friend helps another in need. Mary does help me when I am in need. Therefore, Mary is not a friend. In the case of cats and dogs, cats and dogs are sets, whereas having four legs and a tail is a sub-set. Different sets may have the same sub-sets, like cats and dogs having four legs and a tail, but they also have different sub-sets, like cats meowing and dogs barking, which make the sets different. Practicing chi kung, practicing kungfu and having friends are sets. In each sets there are different sub-sets. In the set of people practicing chi kung, for example, there is a sub-set of practitioners not having their illness cured, and there is also a sub-set of practitioners who have their illness cured. Using a sub-set to represent a set is flawed. When we practice Zen, we would not make this mistake. In the spirit of Zen, we would perceive those who practice chi kung but their illness is not cured as those who practice chi kung but their illness is not cured. 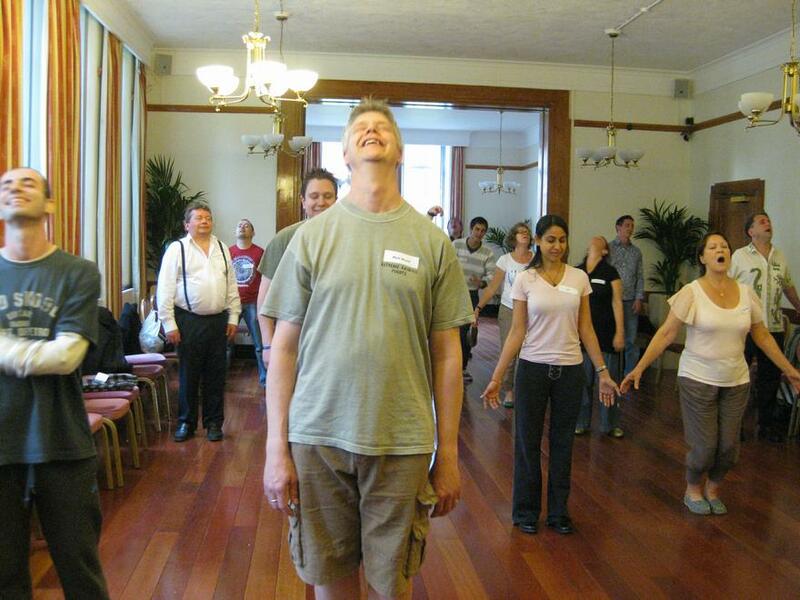 We would not make a flawed conclusion that practicing chi kung does not cure illness. In other words, we call a spade a spade. Hence, thinking nothing doing nothing is thinking nothing doing nothing. Smiling from the heart is smiling from the heart. But these two skills can have similar benefits, besides having different benefits. In the same way, cats and dogs can have similar features, besides having different features. In both thinking nothing doing nothing and smiling from the heart, you are relaxed, peaceful and happy, and are tuned into Cosmic Reality. But their benefits can also be different, both in nature and in degree. For example, when thinking nothing doing nothing you are free from intellectualization and activities. In smiling from the heart, you may intellectualize if you want to though you normally don’t, and you are involved in some activity. These are differences in nature. Although both thinking nothing doing nothing and smiling from the heart result in mental clarity and happiness, the degree of mental clarity and happiness is not the same. Usually thinking nothing doing nothing gives you more mental clarity, whereas smiling from the heart gives you more happiness. These are differences in degree. 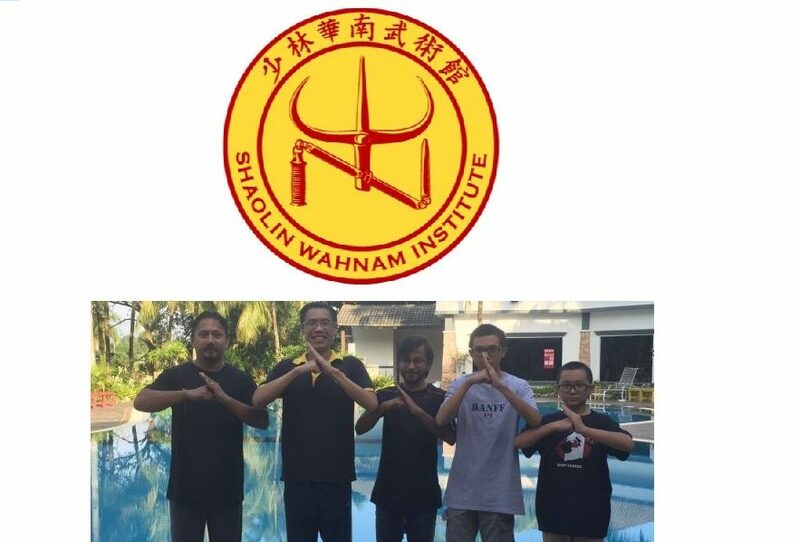 This entry was posted in Grandmaster Wong Kiew Kit, question-answer, Shaolin, Shaolin Wahnam, zen and tagged Grandmaster Wong Kiew Kit, Lessons, QUESTIONANSWERS, Shaolin, Shaolin Wahnam, zen on June 5, 2015 by Wei Joo Lee.